Wow! Amazing! Remarkable! These are just a few of the accolades shared by our visitors from Leadership Gwinnett. Our visitors were amazed by the level of rigor and technology integrated into the daily routines of our students. The visitors were only able to visit classrooms for a total of thirty minutes. 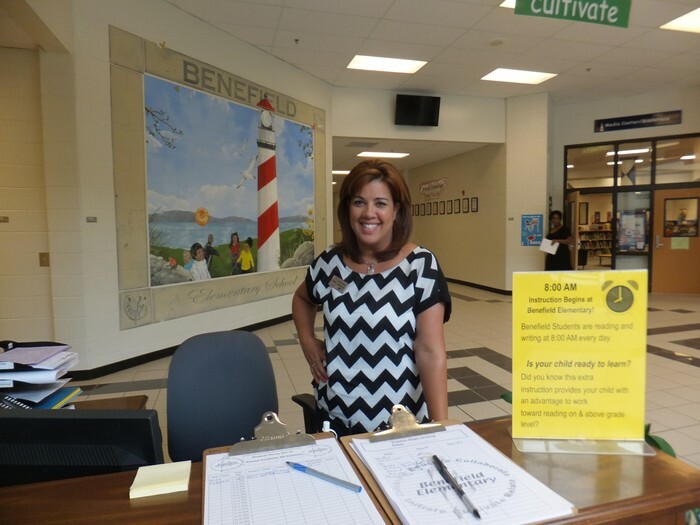 During their time in the classroom, they were able to see two kindergarten and two fifth grade classrooms. A special thank you to Mr. Mason, Mrs. McDonald, Ms. Macdonald, and Ms. Randolph for opening their classrooms to our visitors. Thank you to our counselors, Mrs. Bronkema and Mrs. Junuzovic, for coordinating our NEHS student ambassadors. Our visitors were able to see the growth and progression of technology use in the classroom by visiting kindergarten and fifth grade. They were amazed to see students in kindergarten engaged in independent reading, conferring, guided reading, and computer activities. Next, they visited Ms. Randolph's classroom which highlighted the use of technology in math workshop. Students were engaged in blogs, online practice, small group instruction, and exemplars. Then, they visited Ms. Macdonald's classroom which highlighted the integration of social studies content with technology during reading workshop. Our visitors were excited to see the transformation of the classroom from their educational experiences. They commented on the outstanding behavior and manners exhibited by our students. The team will return in November to share their experience with other members of Leadership Gwinnett. If you are interested in hosting a visit, please let me know. We will begin identifying the classrooms next month for the November visit. On September 22, 2014 @ 12:00 PM U.S. Secretary of Education Arne Duncan will announce the Broad Prize winner. Stay tuned Monday! 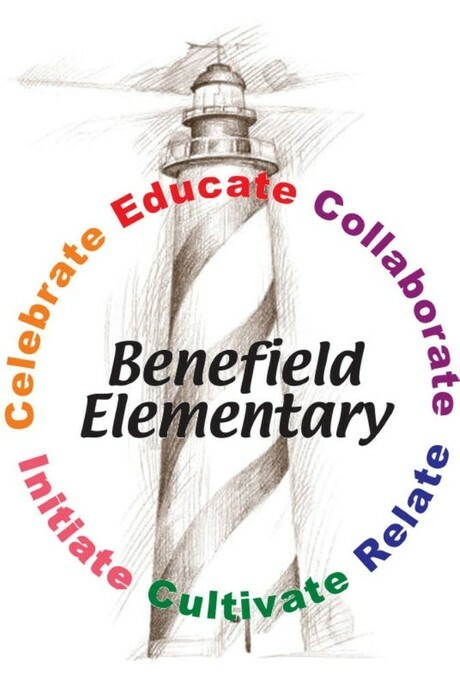 Benefield is OUR school and we are all responsible. A teacher shared a concern about the amount of food and spills on the floor. The teacher assisted with helping to pick up the items while others did not stop to assist. The teacher was discouraged by the lack of support from their colleagues, as they believe in the "whatever it takes" in our school. We have provided additional custodial help in the cafe, but we do not need to depend on this support. Our students need to pick up items they drop and dispose of properly. We need to encourage our students to be responsible citizens. Our students will follow our lead and what we model. Students in Mrs. Nahas and Ms. McLees' 1st grade class voluntarily used their recess time to pick up trash on the playground. This is an excellent example of students taking the initiative for their school. Highlight students who "do the right thing" and are responsible! 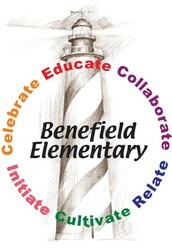 Benefield is our school. We are committed to increasing the achievement of our students and developing citizenship skills in our students. Tuesday, November 4th is a school holiday due to elections. Please take the opportunity to have your voice heard in this year's election. It is important that you are informed of each candidate's platform and make an informed decision. Two important elections are the state governor and state superintendent positions. Thank you for your support! We continue to process applications, so send any you receive to the cafe. 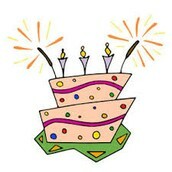 We have successfully completed a little less than 30 applications out of 114 students. Please consider sharing your expertise with your colleagues. I have an updated list of topics I will share via Lotus Notes. You can propose to share an essential instructional practice that is not listed. We have extended the deadline to 9/26/14. The brief description can be bullet points of the key information being presented. Your evidence can be photos from your classroom. For instance, if you are sharing about conferring, take a photo of your organizational tool for your conferences. If you have any questions, please see a member of the leadership team, Ms. Todd, or Ms. Stocks. It is best practice to always use soap & water to wash our hands. I encourage you to remind students to wash with soap & water especially prior to exiting the restroom. Hand sanitizer is best used in the classroom after a child has used tissue, coughed, or sneezed. Save time and have your students click on the "log off" icon located under the ladybug :) Please use this step in the computer labs! Please welcome Brittany Frazier as our stellar substitute. She will begin Monday morning! Please remember that scheduling of the stellar substitute is done through the leadership team. If you have a need, please see your leadership team for approval. Thanks! We are going to post all the spirit night events on a Signupgenius. Please consider donating 30 minutes of your time to support this event. All proceeds go to student recognition such as attendance awards, certificates, prizes, etc. Thank you to all our volunteers! Congratulations to Ms. Randolph's 5th grade class for having the highest participation rate. Last week, Ms. Randolph's class celebrated with an ice cream party. Who will be next? Thursday, 9/25: Early Release @ 12:00 PM, YMCA begins at 12:00 PM for registered students. Picture Day the following week!